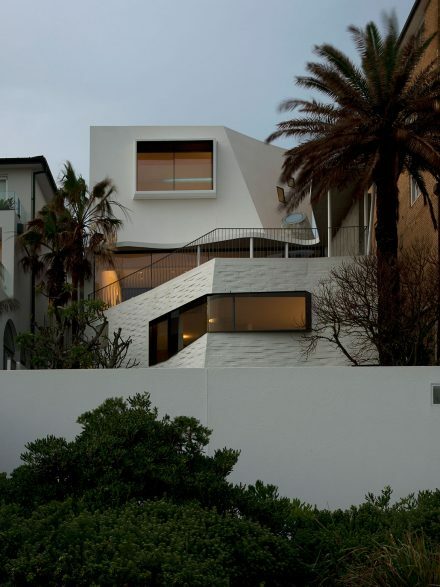 A Play Of Terrain And Domain B.. 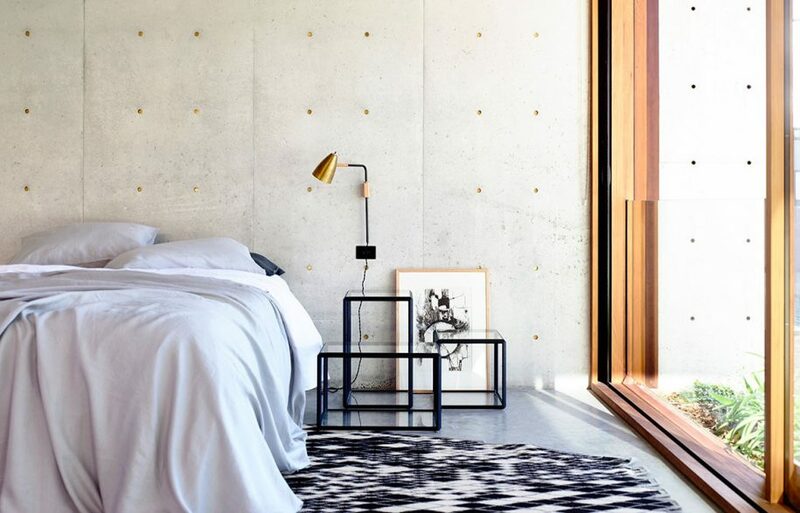 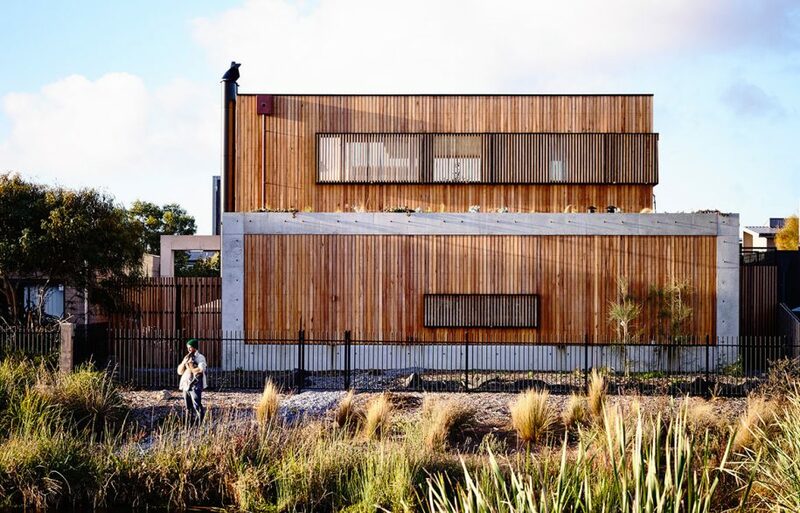 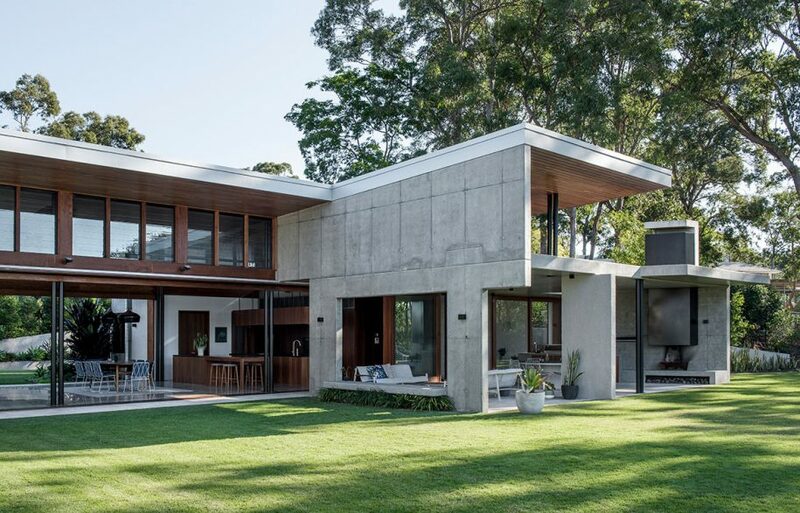 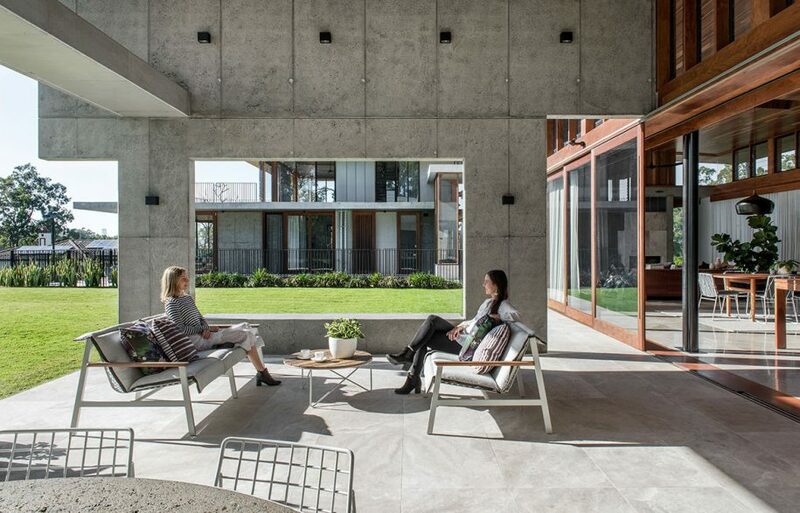 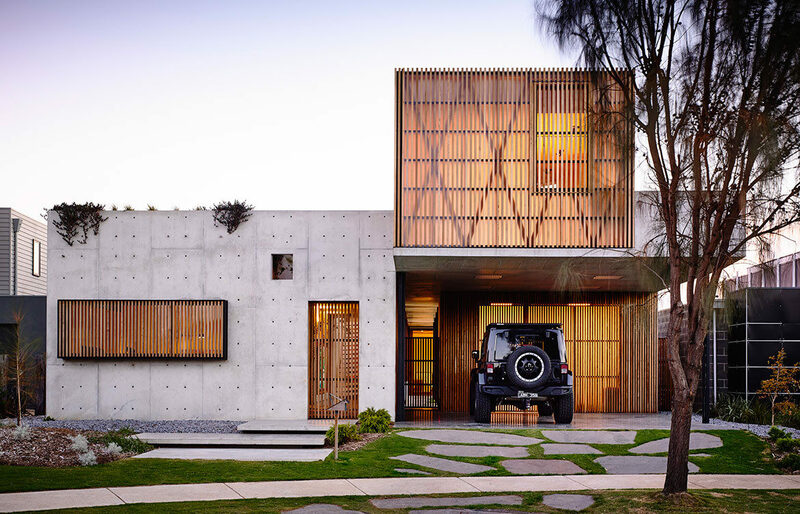 These five contemporary Australian homes are some of the best examples of how to use concrete to achieve results that are finely detailed and well crafted. 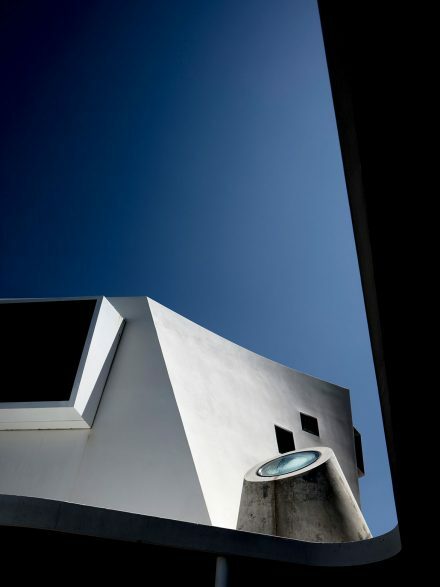 This five-level home on Sydney’s Tamarama Beach is a sculptural masterpiece and exquisite study in materiality. 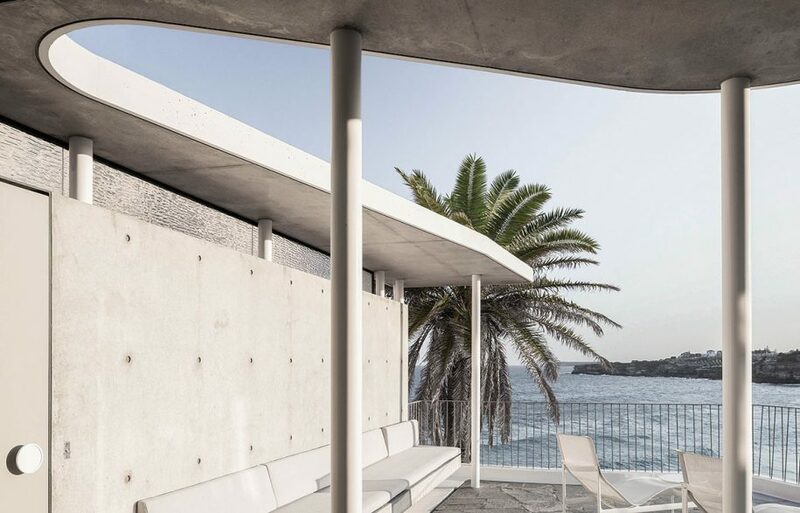 The architects have used concrete in all its many versions, from smooth as glass to rough like stone, to create a complex structure of impressive statue that’s surprisingly light on its feet. 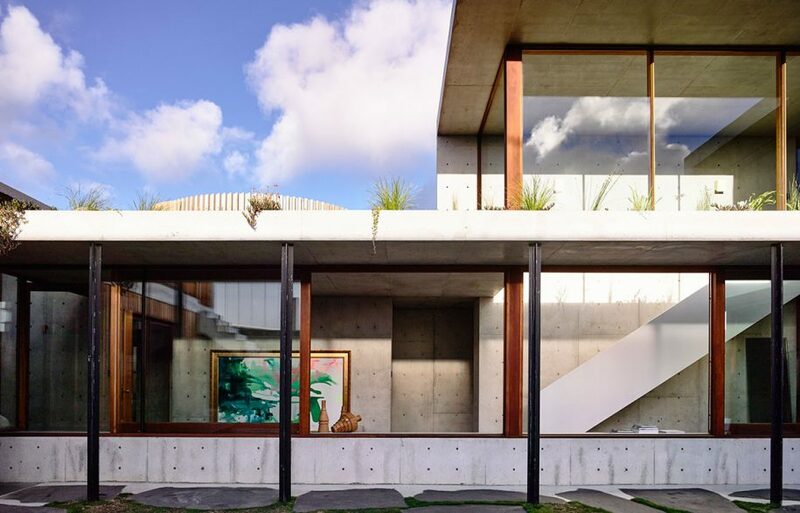 Not surprisingly, it was awarded the Australian Institute of Architects’ 2017 Robin Boyd Award for Residential Architecture, in part for the expert realisation of its carved concrete forms, which exhibit the highest level of craftsmanship, artisanal skill and nuanced detailing. 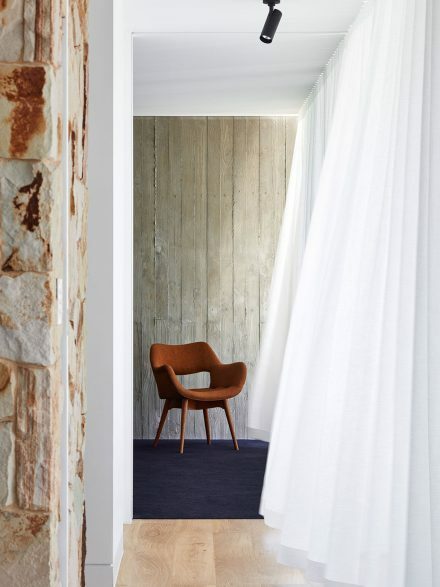 Architects Ink’s PR House is a modernist-style beauty in the heart of Port Elliot, a favourite South Australian beachside town. 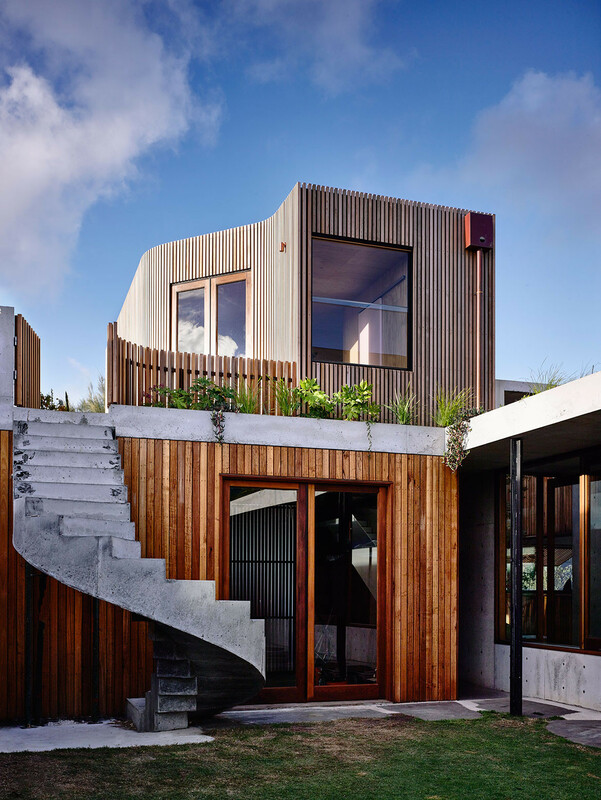 The two-storey getaway is simple in plan and minimalist in its materiality: predominantly comprising a timber, timber-boarded concrete and glass palette. 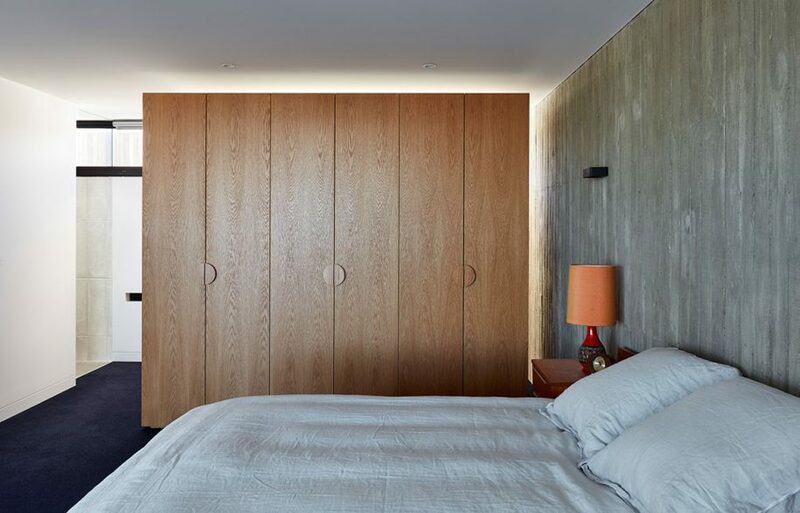 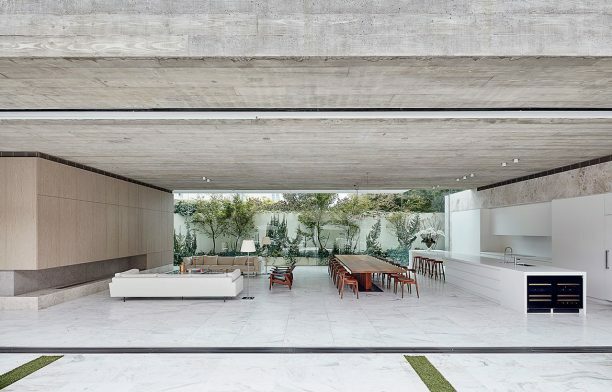 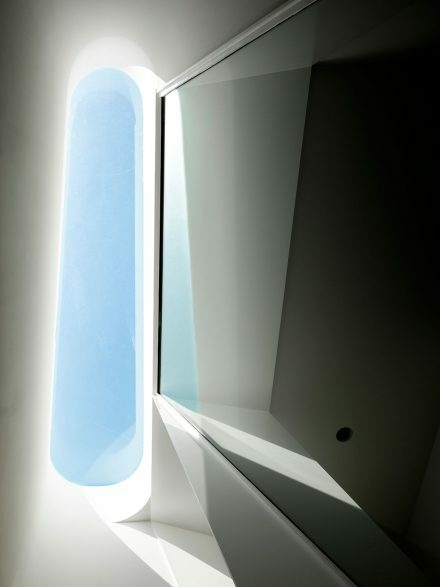 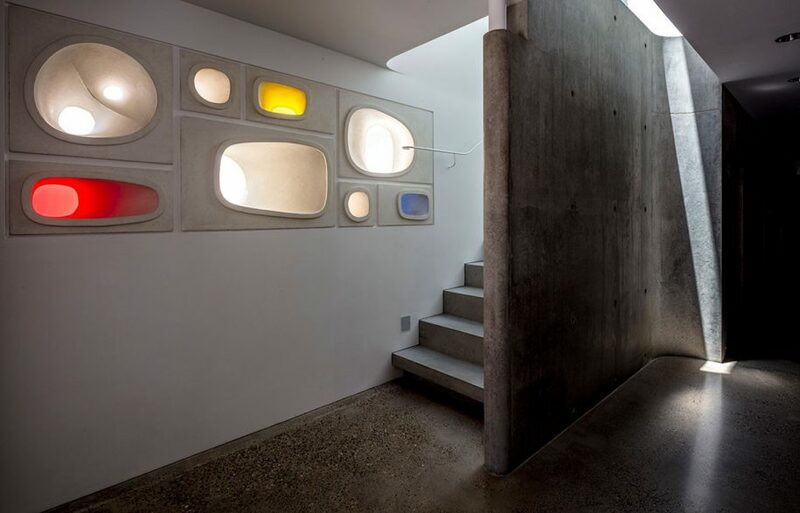 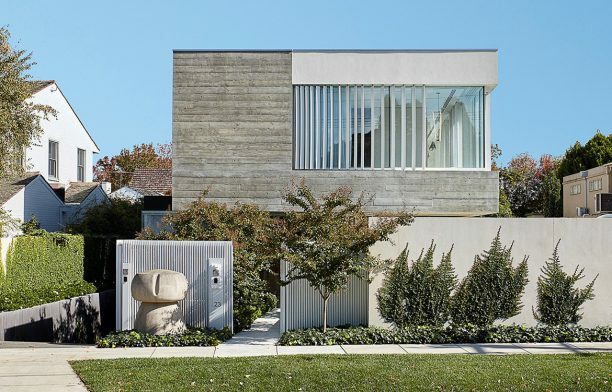 However, it’s the concrete that gives the home its most compelling design expression, with the architects using it for the interior’s feature walls and most impressively as cladding on the exterior. 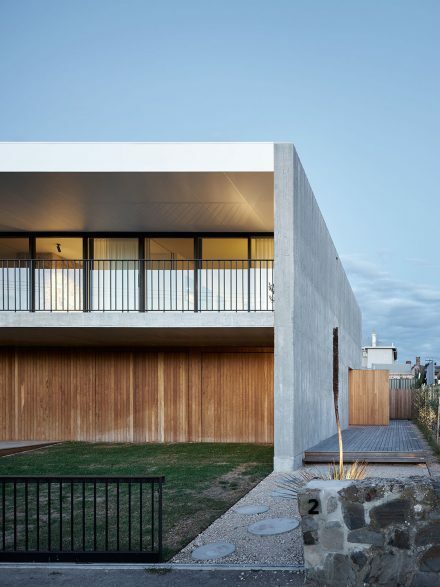 The end result displays the skill inherent in executing this finish well and also exemplifies the architects’ attention to detail in delivering a beach house that’s stylish yet thoroughly lacking in pretention. 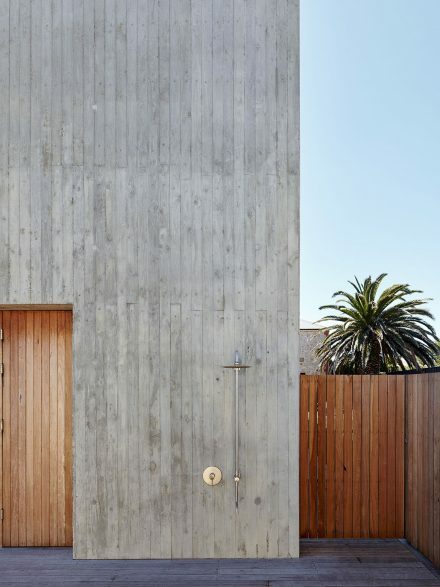 The architects have treated Torquay Concrete House as a walled sanctuary, with the plan wrapping around a central courtyard. 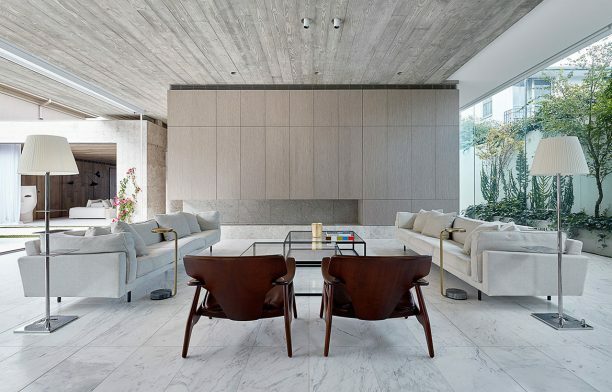 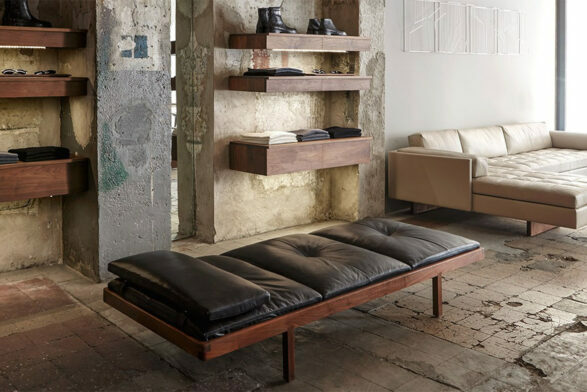 Concrete and natural hardwood are the predominant materials and they balance each other perfectly to create interiors that are raw and minimalist yet warm and inviting. 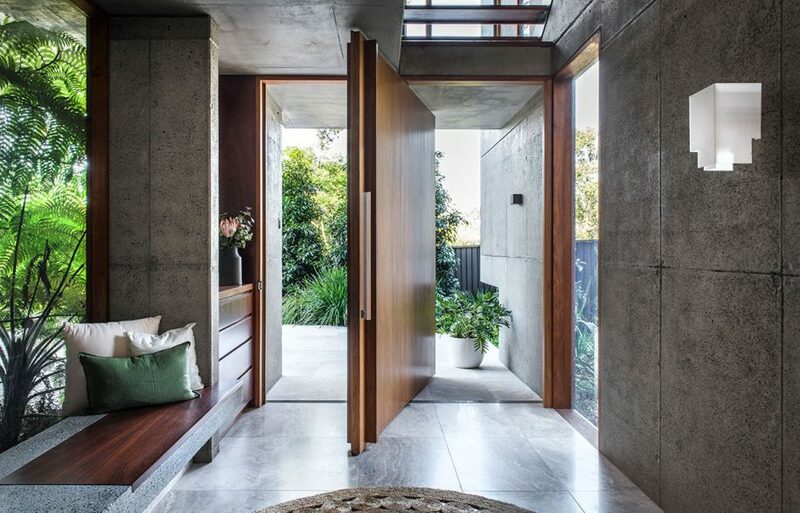 The light grey of the concrete is especially pleasing against the timber’s caramel tones and the views looking inside from the courtyard present everything in the best possible light (quite literally). 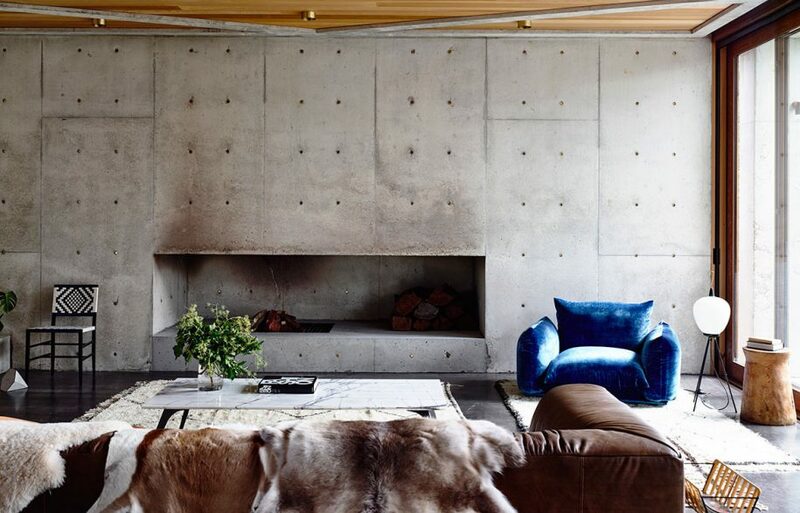 While the materials’ inherent qualities give the home its character, it’s the brass plug finish (rather than the usual dab of render) on the concrete slabs that best expresses the architects’ sense of high-end style and careful attention to detail. 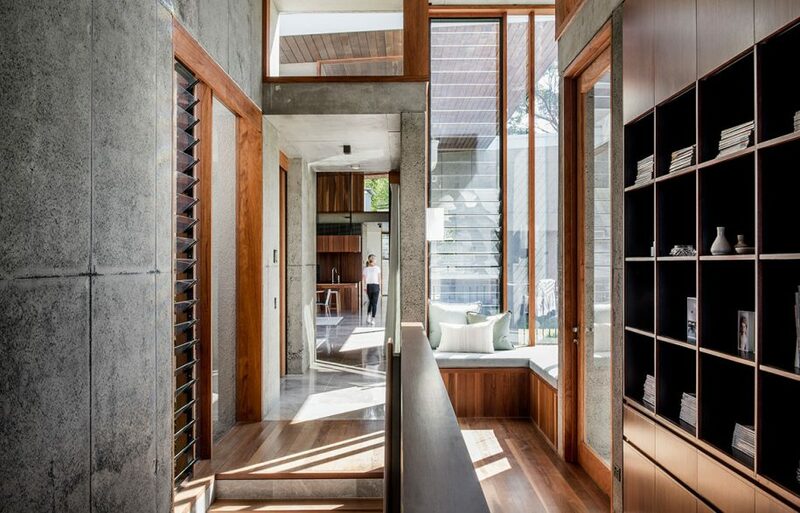 A palette of sandblasted concrete, timber and stone lends this Brisbane home timeless appeal, not to mention a robust framework for inner-city living. 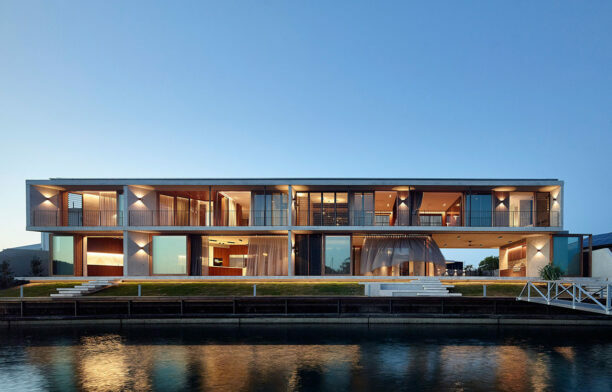 The overall design has a strong verticality intersected with lightweight horizontal planes, as well as plenty of full-height glass doors that blur the line between inside and outside when open. 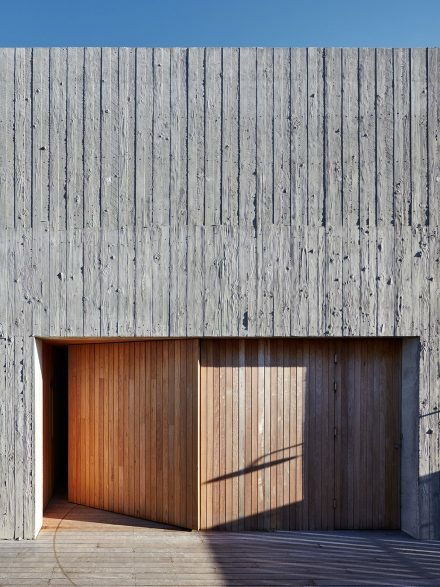 In sandblasting the concrete walls, the architects have introduced a highly textural element to the design; one that plays off the lines and angles of the architecture and creates an element of visual interest through patterning that is truly unique. 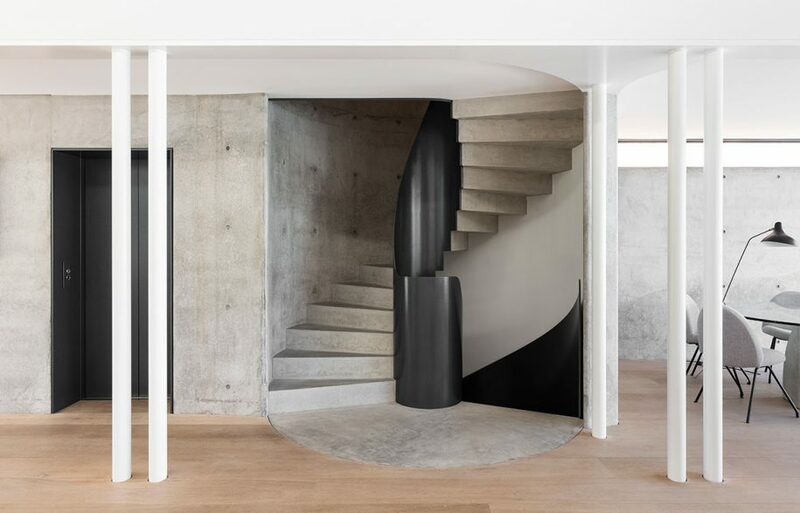 Architecton’s four-bedroom Toorak Residence is all about expansive interiors that let the outside in and vice versa. 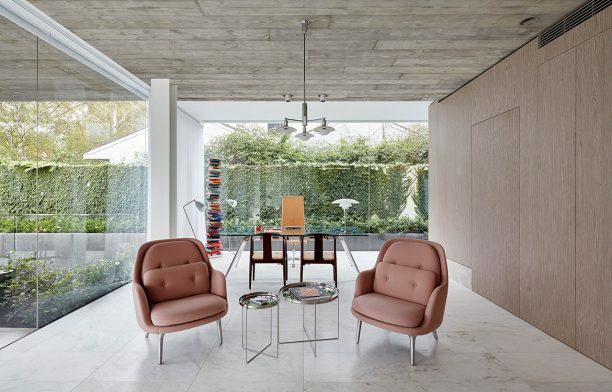 The effect is completely luxurious, although there’s a sense of calm that pervades the living areas, due in no small part to an organically coloured material palette. 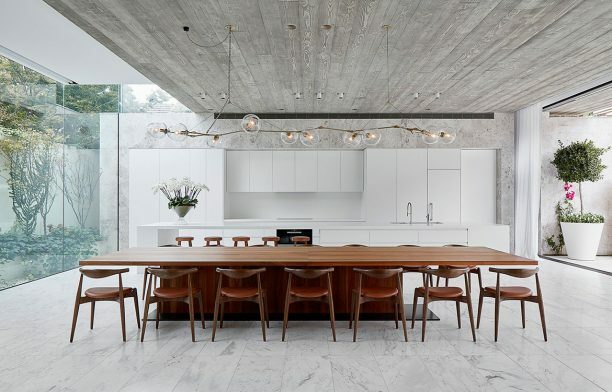 White marble flooring and pale joinery create a neutral backdrop for the stylish furniture and lighting, while the off-form concrete ceiling imprinted with the grain of American Oregon timber adds a decorative element without distracting from the visual seamlessness of the overall scheme. 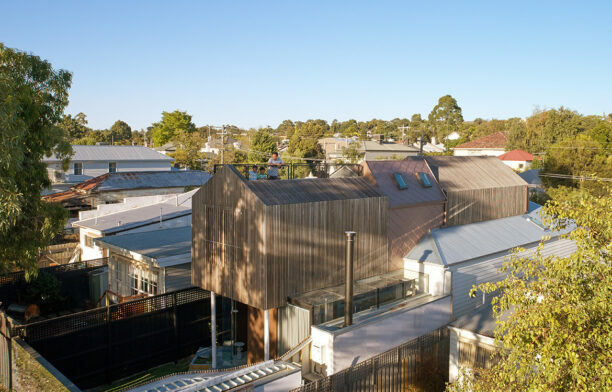 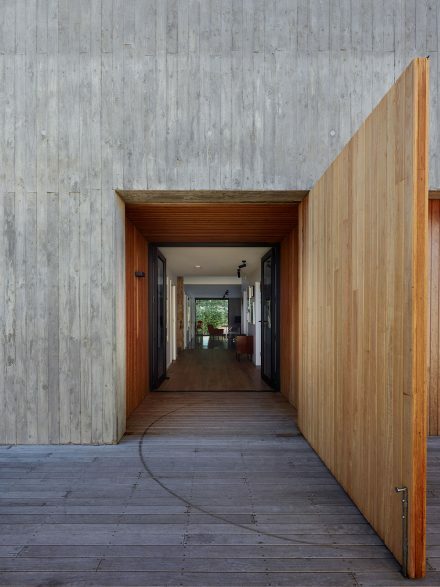 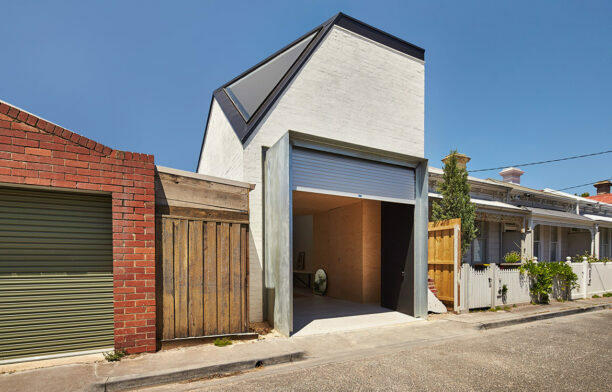 This timber-boarded concrete is also used on the exterior, creating just the right amount of impact within Toorak’s pleasantly bright and leafy suburban context. 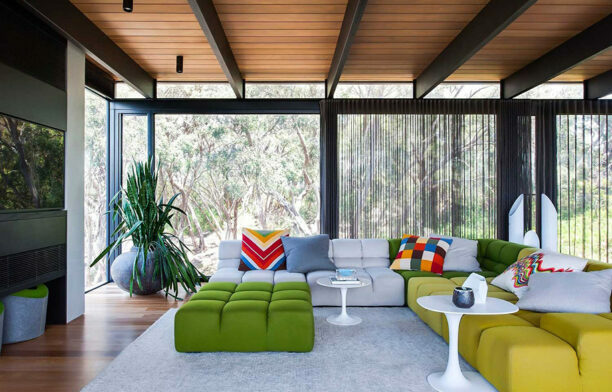 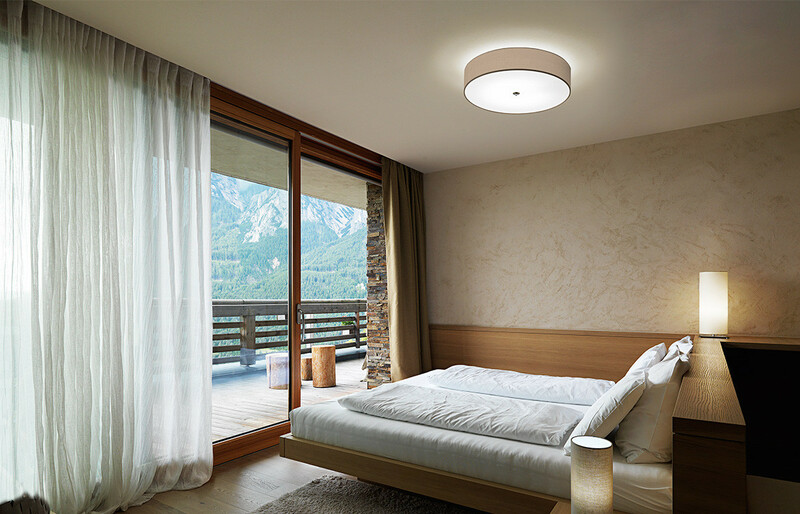 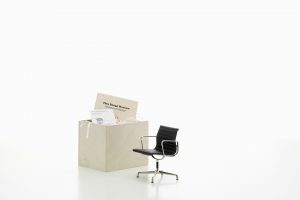 What Makes the Perfect Living Space?